Name : Rizal Yaya, S.E., M.Sc., Ph.D., Ak, CA. Research Interest : Accounting Islamic Perspective, Islamic Banking, Management Accounting, Public Sector Accounting, Environmental Accounting, Good Corporate Governance. Master of Science in Accounting, International Islamic University Malaysia, 2001-2003. Doctor of Philosophy in Accounting, University of Aberdeen, United Kingdon, 2009-2013. 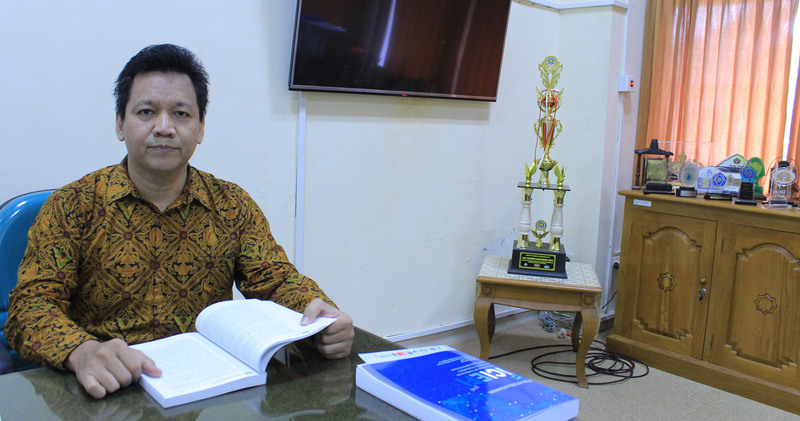 Lecturer, Faculty of Economics, Universitas Muhammadiyah Yogyakarta, 1999-now. 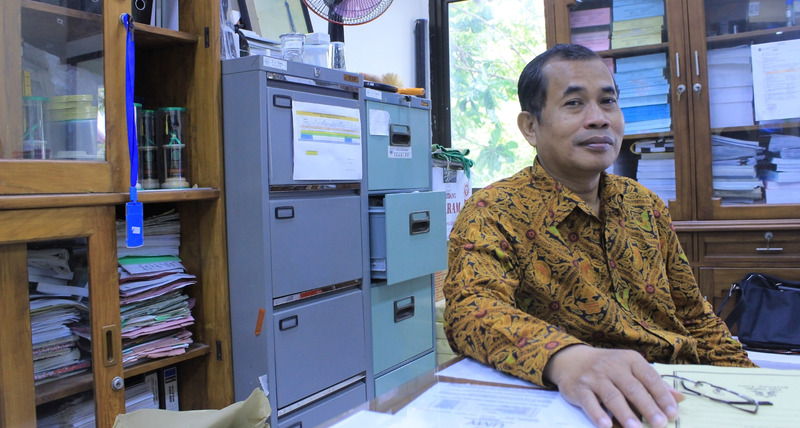 Vice Dean, Student Affairs and Collaboration, Universitas Muhammadiyah Yogyakarta, 2013-now. Head Department of Accounting, Faculty of Economics, Universitas Muhammadiyah Yogyakarta, 2004-2007. Internal Auditor at Muhammadiyah Organization, Yogyakarta Region, 2006-2009. Guest Lecturer at Faculty of Economics, Universitas Airlangga - Surabaya, on Principles of Islamic Financial Management Subject, February - June 2006. 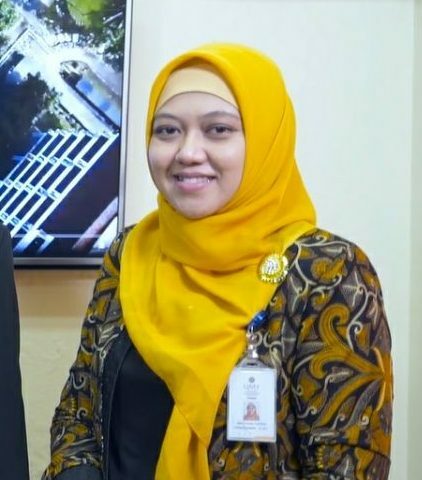 Teaching Assistant at International Islamic University Malaysia, 2001-2003 on subject Management Accounting under Dr. Maliah Sulaiman (English as medium of instruction). Jurnal Dinamika Akuntansi dan Bisnis Vol. 3(2), 2016, pp 87-101, Internet Financial Reporting dan Faktor-Faktor yang Mempengaruhinya Pada Pemerintah Kota dan Kabupaten Di Indonesia. Co-author with Ariefia Nosihana. Riset Akuntansi dan Keuangan Indonesia 1 (1), 2016, 35-45 Pengaruh system pengendalian manajemen dan kecerdasan emosional terhadap kinerja staff ATC dengan locus of control sebagai variable pemoderasi (Studi Kasus pada Perum LPPNPI AirNav Indonesia). Co-author with Fathul Huda Anjumi. Jurnal Akuntansi & Investasi, vol 15, no. 2. July 2015, “Factors affecting students’ interest in enrolling at Accounting Profession Education”, co-author with Zazuk Sapitri (paper written in Bahasa Indonesia). Jurnal SHARE, Vol. 4 No.1 June 2015, pp.79-104. Pengaruh, dana pihak ketiga, tingkat bagi hasil dan non-performing financing terhadap volume dan porsi pembiayaan berbasis bagi hasil pada perbankan syariah di Indonesia. Co-author dengan Lintang Nurul Annisa..
Journal of Government and Politics, Vol. 5, no. 2, August 2014 (Accredited journal SK 58/DIKTI/Kep/2013) , Public-Private Partnerships: an International Development vis a vis Indo-nesia Experience (paper written in English). Jurnal Akuntansi & Auditing Indonesia, UII, vol. 17, no. 2 year 2013 (national accredited journal 81/DIKTI/Kep./2011), “Capital Expenditure Allocation for Public Services: Local Government Experiences”, Co-author with Lufki Laila Nurhidayati, (paper written in Bahasa Indonesia). Jurnal Akuntansi & Investasi, UMY, vol 8 no 1 year 2007, “The Expectation Gap between Depositors and Management on the Financial and non Financial Disclosure of Islamic Banks: Empirical Evidence in Yogyakarta and Surakarta”, (paper written in Bahasa Indonesia). Jurnal Akuntansi & Investasi, UMY, Vol 7 no1 year 2006, “Perception of Credit Analysts on Accounting in Islamic Perspective”, (paper written in Bahasa Indonesia). Jurnal Akuntansi & Investasi, UMY, vol 6 no1 year 2005. “Socio-religious Settings and the Development of Accounting in Indonesia”, (paper written in English). Jurnal Akuntansi & Auditing Indonesia, UII, vol 7 no 2 tahun 2004 “Would the Objectives and Characteristics of Islamic Accounting for Islamic Business Organizations Meet the Islamic Socio-economic Objectives?” (paper written in English). Jurnal KOMPAK FE-UTY edisi Mei-Agustus 2003. “The Development of Western Accounting Reports: Some Vehicles Towards Future Islamic Accounting”, (paper written in English). ISEFID Review vol.2 no.1. 2003. “An Analysis on Anglo Saxon Corporate Governance Based on Islamic Perspective”, (paper written in English). Jurnal Akuntansi & Investasi - UMY, vol 3 no 2 year 2002. “Should Auditors Report Environmental Issues?”, (paper written in English). Jurnal Akuntansi & Auditing Indonesia, UII, vol 5 no 2 tahun 2002 “From Conventional Accounting to Islamic Accounting: Does it Need a Slight or an Extensive Overhaul?”, (paper written in English). Presenter at The 2nd International Conference on Islamic Perspective of Accounting, Finance, Economics and Management (IPAFEM) 17-08-2016, What drives conventional insurance companies establish sharia units? Co-author with Fadhila Ruqyah Azis and Muhammad Akhyar Adnan. Presenter at the Asia Pacific Conference on Accounting and Finance, 11-12 June, Denpasar, Bali with the title “Carbon Emission Disclosure Practices after Mandatory Disclosure Policy: An Empirical Evidence from Public Listed Companies in Indonesia”, co-author with Sigit Arie Wibowo, Ulvaturrahmah and Aras Halim Bernas. Presenter at the First International Conference on Shariah Oriented Public Policy in Islamic Economic System, Joint conference UIN Arraniry and IRTI - IDB, Banda Aceh, 30-31 March 2015, paper with the title “ The effect of third party fund, profit sharing rate and non-performing financing on the volume and portion of profit sharing based of financing at Islamic Bank in Indonesia. 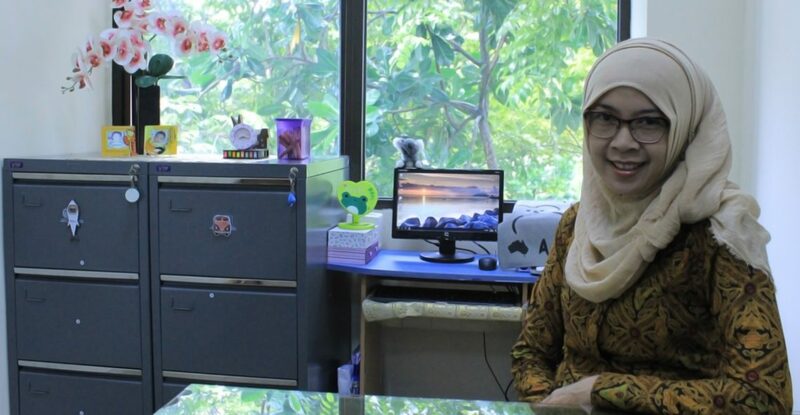 Presenter at International Conference on Accounting and Finance, 18-19 March 2015, Universitas Muhammadiyah Yogyakarta, paper with the title “Factors affecting liquidity risk at conventional and Islamic banks in Indonesia”, co-author with Faisusza Bani. Presenter at Workshop on Good Corporate Governance, held by Muhammadiyah Organization, Sleman Region, Paper with the title “Mechanism in Financial Statement Audit”, Sleman 14 January 2007. Presenter at Accounting National Conference II, on Good Corporate Governance held by Universitas Trisakti Jakarta, 24-25 December 2006, Paper with the title “An Analysis on Anglo Saxon Corporate Governance Model Based on Islamic Perspective”. (Paper written in English). Presenter at Seminar Zakah Management at Islamic Financial Institution, held by Muamalah Student association, Faculty of Islamic Studies, Universitas Muhammadiyah Yogyakarta. Presenter at Islamic Business Forum, Held by Majelis Ulama Indonesia, Yogyakarta Region, with the topic “Islamic Accounting” Yogyakarta, 29 November 2006. Presenter at National Seminar on Shariah Accounting Banking: The Pillar of Shariah Banking Development, held by Accounting Student Association, Universitas Jenderal Soedirman, 27-28 September 2004. Paper with the title “Review on Statement of Financial Accounting no 59, Indonesia”. Presenter at National Workshop on Islamic micro financial Institution, held by Center of Economics Development, FE-UMY, at Hotel Garuda. 09 s/d 12 August 2004, with the title “Critical Review on concepts of Accounting for Islamic Micro Financial Institutions (BMT) ”. Presenter at national seminar on Current Development and agenda on the future of Accounting for Islamic Banking, held by Shariah Economics Banking Institute and Bank Indonesia, 12 August, 2002 in Jakarta. Seputar Indonesia, 13 November 2007, “Efficiency on Indonesia Government Budget” (in Bahasa Indonesia). Republika, 29 October 2007, “Local Government Financial Accountability” (in Bahasa Indonesia). Republika, 9 July 2007, “Road Map Islamic Agriculture Bank” (in Bahasa Indonesia). Kedaulatan Rakyat,14 October 2006 “Quo Vadis the Islamic Economics Education”, (in Bahasa Indonesia). Media Akuntansi - Indonesian Institute of Accountants vol. 43/year XII/2005, “The Appropriateness of PSAK no 59 for Islamic Micro Financial Institutions”, (in Bahasa Indonesia). Republika 10 May, 2004, “Improving the Role of Shariah Supervisory Board”, (in Bahasa Indonesia). Republika 1 December 2003, “Strategy of Developing Islamic Accounting”, (in Bahasa Indonesia). Republika, 11 July 2003, “Concerning Islamic Central Bank”, (in Bahasa Indonesia). Republika, 20 April 2003, “Riba Criteria”, (in Bahasa Indonesia). Republika, 18 September 2002, “QSAR Case and the Improvement of Investment Environment” (in Bahasa Indonesia).